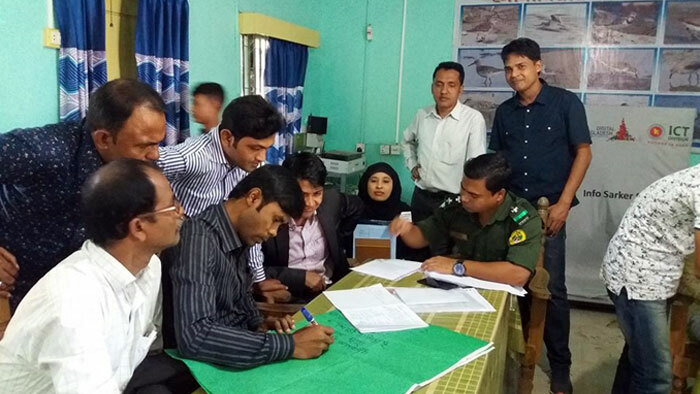 YPSA completed 3 training workshops for Stakeholder’s role to prevent violent extremisms from the society in Kutubdia, Maheskhali and Ramu upazila under the project “Community Engagement in Countering Violent Extremism from Cox’s Bazar district” with the support of GCERF. 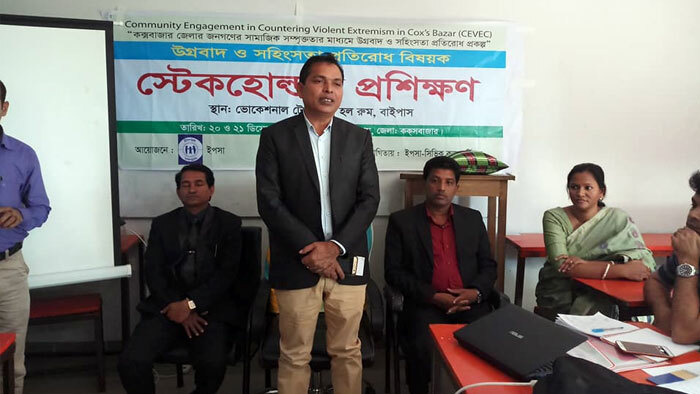 The objective of the training for awareness buildup of different stakeholder group representatives to play active role for prevent violent extremism from the society and also from the Cox’s Bazar district. Through the training, aim of the YPSA-CEVEC Consortium is to engage civil society organizations, Community Based Organizations, media, faith based organizations and local forums with the prevention of violent extremism in order to enhance youth leadership and create a safety net in Cox’s Bazar district. With the support of Jago Nari Unnayan Sangstha (JNUS) YPSA conducted 2 days stakeholder training in Ramu on 20-21 November, 2017 at Conference Room of Vocational Training Institute of Ramu. 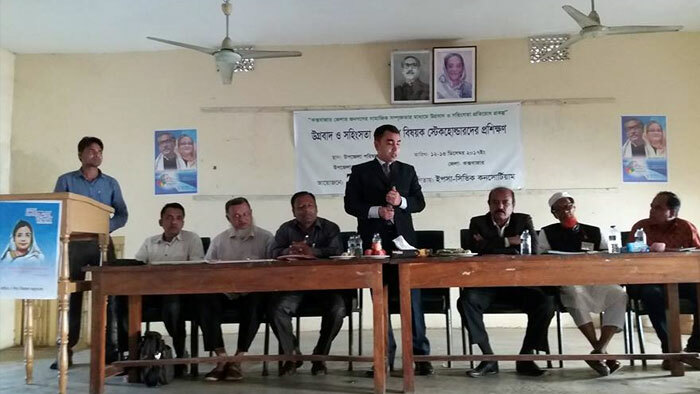 Mr. Reaz Ul Alam, Chairman of Ramu Upazila Porishad was present as chief guest and Mohammad Mahbubur Rahman, Upazila Youth Development Officer was present as special guest in the training. The guest of honors ensured their cooperation will be continue with us to build a violence extremism free society. Top Officials of government and non-government organizations, educational institutions, women’s organizations, along with representative of civil society and media houses attended the training. Participants thanked YPSA Consortium for the time befitting training. Rajat Barua, Program Coordinator (Training) facilitated the 2 days training. 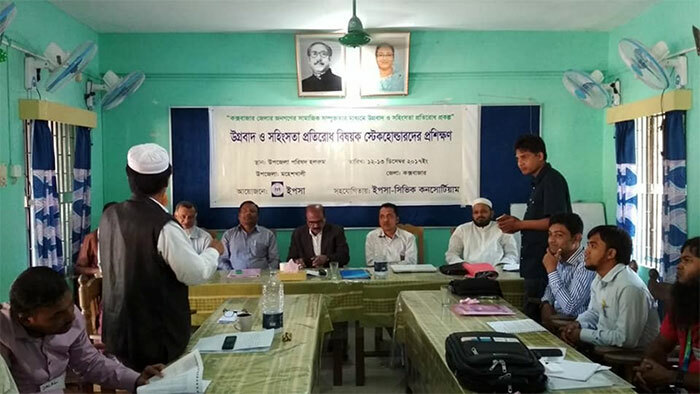 Sujon Chowdhury, Upazila Nirbahai Officer of Kutubdia inaugurated the 2 days training for stakeholders in the Upazila administration conference room as a chief guest in Kutubdia Upazila on 12-13 December, 2017. Teachers, journalists, NGO representatives, businessmen, CBO, CSO representatives were participated the 2days training in Kutubdia. On the same day, the 2 days training also held in Maheskhali Upazila with the participation of different stakeholder representatives. 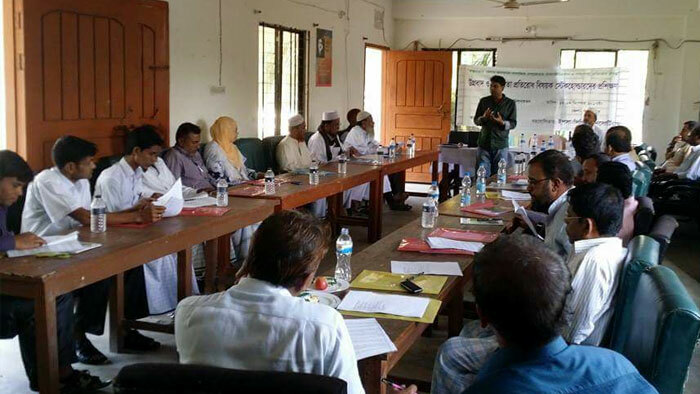 Mohammad Abul Kalam, UNO of Maheskhali Upazila was present in the opening program of the training as a chief guest and other representatives of local religious leaders, club leaders, social leaders, journalist, teachers, freedom fighters of the Upazila were received the training. 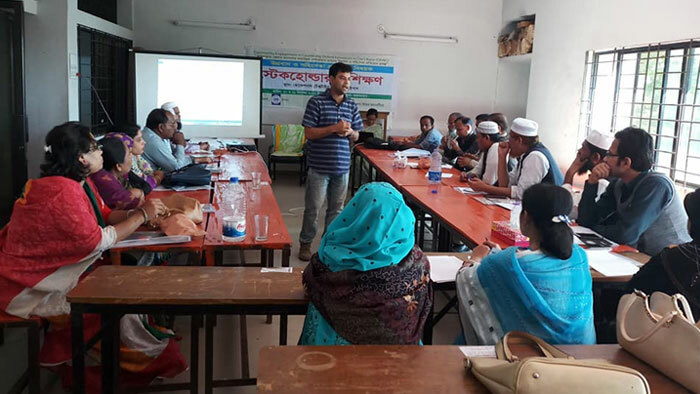 Mohammad Shahidull Islam, Program Coordinator ( Campaign and Partnership) and Rajat Barua, Program Coordinator (Training) involved as a trainer of stakeholder training.